Here is a fun hunt and a great one to take your wife or girlfriend on, observer included at no charge. The season for Roebuck is Sept 1- Dec 31 and the trophy fee for one is included in the price. Additional Roebuck $1,800 each. Hunt is 6 days 5 nights included. Arrive Stockholm for pickup by outfitter and transfer to camp which is a nice bed and breakfast. Hunt 2 days for Roebuck then transfer to Stockholm for 2 additional days to tour and see the town. Includes Roebuck, accommodations, breakfast weapons rental and transport during your stay. Not included are, international flights, additional trophies, meals other than breakfast, alcohol or gratuities. 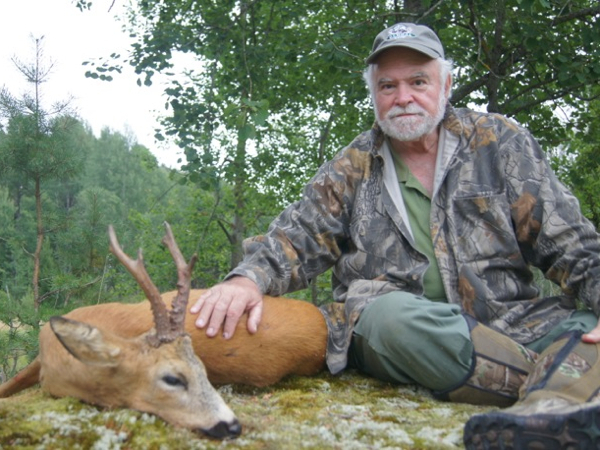 Please contact me for more details on this Roe Deer hunt in Sweden observer included.